Hear ye’, hear ye’! The Scarborough Renaissance Festival is officially back in season. Gather the entire family and enjoy turkey legs, combat armored jousts, Birds of Prey exhibitions and Renaissance entertainment on 27 stages. We’re giving away four Family 4-packs so the whole family can discover exquisite crafts in 200 village shoppes and marvel at the artisan demonstrations. 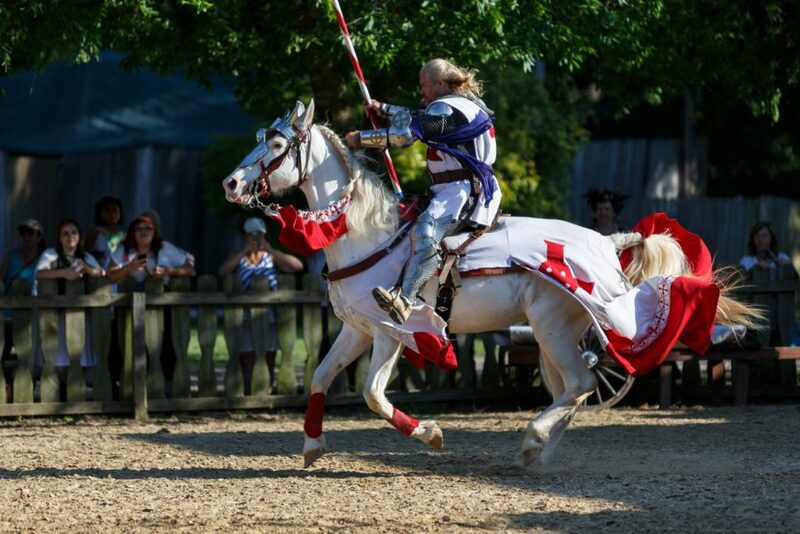 Partake in Renaissance rides and games of skill and feast on food & drink fit for royalty. For the more discerning tastes there are daily wine and beer tastings as well. Plus, every weekend has a different theme and a variety of special events. The Contest begins at 12:01 AM Pacific Time (“PT”) on Tuesday, March 26, 2019, and ends at 11:59 PM PT on Monday, April 29, 2019 (“Entry Period”)—Any entries received after the Entry Period will not be eligible for judging.